Prepare for an ethical Christmas | Shop Ethical! Are you already feeling the pressure and busyness of Christmas? Worried that in an effort to ‘get it all done’ you’ll let your ethical values slide down the Christmas wish list? It doesn’t have to be this way. 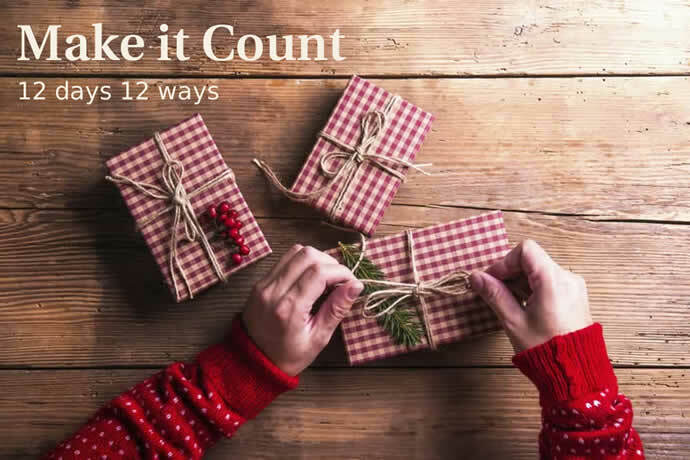 Follow our 12 days 12 ways countdown to explore a new ethical issue each day of advent. Each with practical actions to help you reclaim the essence and joy of the festive season. Start now, make your choices count this Christmas!